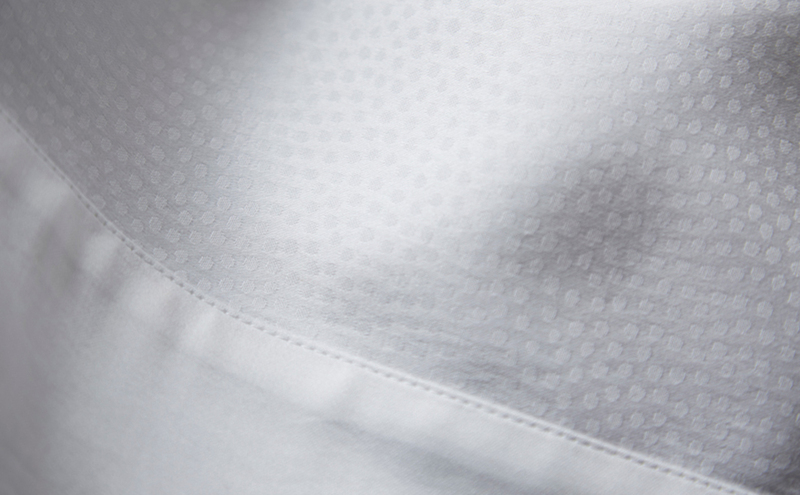 Classic Jacquard weave with a delicate small ‘pea’ spot. Classic Jacquard weave with a delicate small ‘pea’ spot. Plain borders. Luxurious soft-to-the-touch 100% cotton satin, 280 thread count.